I have really taken an interest in the book Have You Filled a Bucket Today? this year. I've really been pushing it with my littles, and they seem to really understand what it means to fill someone's bucket and dip into someone else's bucket. I will be the first to admit that my bucket was pretty empty by the end of the day today. I have 21 kids, and 15 of them had some sort of color change today. Oh-and 2 were absent. Most of it was poor hallway behavior, but I'd had enough! I tried to explain that every time I give them a warning it is like dipping out of my bucket. By the end of the day we were all pretty miserable. Good thing is-we have tomorrow! As I shook each hand when they walked out the back door I reminded them...Tomorrow is a new day to make new choices! Let's be bucket fillers! 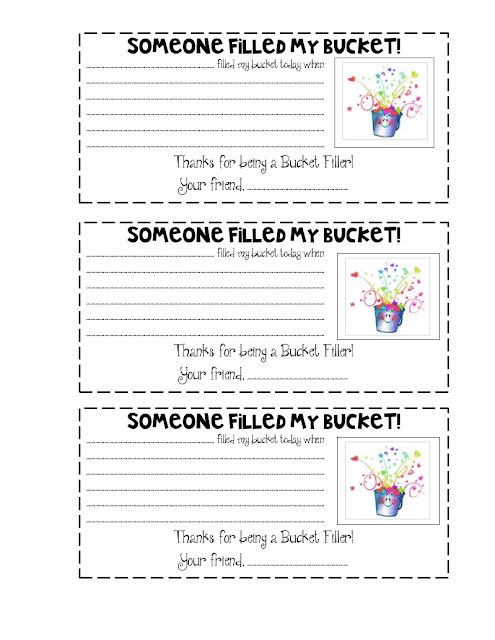 So, for Made it Monday, I decided to make some slips for the kids-and myself-to fill out when someone has filled our bucket. At the end of the week, we will pull out a few to share with the class. I'm trying to think of a goal of some kind to use in conjunction with the slips, but I'm still working on it. But for now, here it is! Click on the picture to download a copy from Google Docs. My kiddos are also working on identifying vowels in words. I made this PowerPoint to use with my SMART board today. My kids have such a hard time seeing words on the board and spelling those words correctly on their whiteboards. It drives me crazy! So today I specifically made the lesson so that they would have to write the word correctly on their boards, circle the vowels, and write the total number of vowels. With each word we went faster and faster. I loved hearing their squeals when they saw that their answers matched the ones on the SMART board. I prefer to use my "clicker" to advance the slides, but you can use your SMART board capabilities, too. 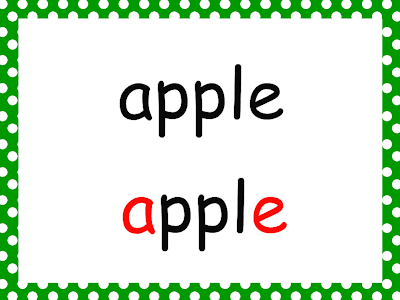 The slide presents the word first, then the word appears again with the vowels in a different color. Click on the picture to download your copy at Google docs. Want to join in? 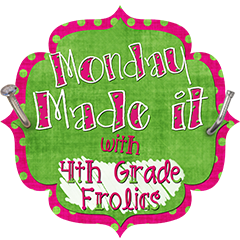 Head on over to 4th Grade Frolics and link up! I love your bucket filler slips :) thanks for sharing! I'm also implementing it with my 4th graders this year I found some great books & posted them on my blog..come visit teaching fashionista! Hope you have a great year!